The DS4 Checkweigher offers unbeatable checkweighing performance. Hygienically designed protected to IP66 and constructed from stainless steel it is suitable for even the most vigorous food production environment. The DS300S Checkweigher Metal Detector Combination unit offers the incredible checkweighing performance and designed as well as metal detection and complies with the latest supermarket COP’s. Optimised for the best performance from a metal detector. Custom built; the DS300S MD can be tailored to your individual needs and can be offered with a variety of features maximise the machines accuracy. The DS300S Graders offers incredible grading performance. The combination of purpose built electronics and carefully selected components offer increased reliability and flexibility and can be manufactured to your individual requirements. Our vibratory Conveyors are designed to run quietly, incredible reliability with low power consumption and easy maintenance. The vibrating action is both gentle and doesn’t cause damage to the finished product. 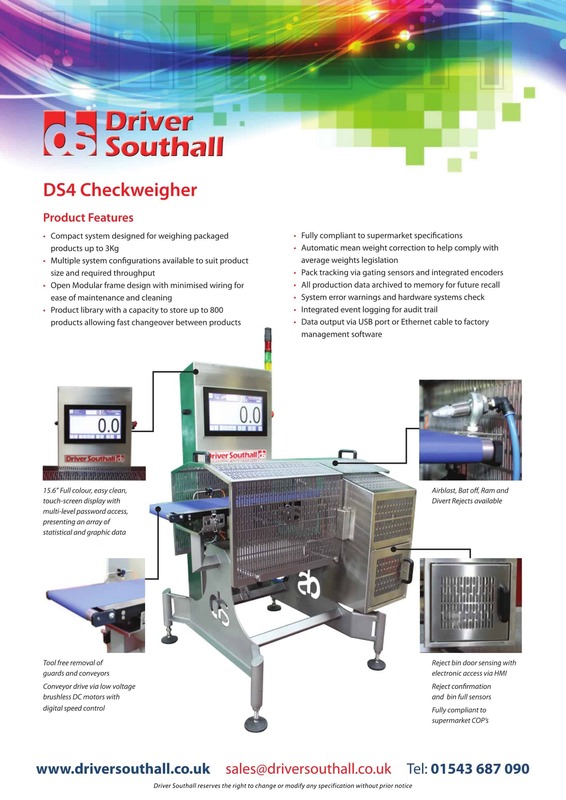 Driver Southall are experts in the design and manufacture of checkweighers, metal detectors, combination systems and vibratory conveyors. 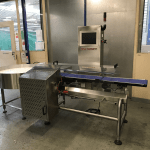 Predominantly supplying the food processing and packaging industry, we also offer high-speed checkweighing equipment for direct and security mailing. Our products are designed with hygiene and practicality in mind and are engineered to minimise production downtime, whilst still offering the performance and reliability we are known for. Driver Southall machines are designed and manufactured in the heart of the UK by our dedicated team of engineers who aim to provide a cost effective solution that is tailored to our customers requirements. Each of our machines is designed to maximise up-time, whilst maintaining a low cost of ownership without compromising the sensitivity or accuracy of the machine. 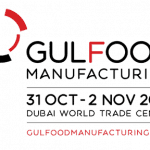 With over 100 years of experience in the food industry we offer checkweighers, metal detection systems and checkweigher metal detection combination systems suited for almost any product. Our checkweighers are compliant with all weights and measures legislation and both checkweigher and metal detection systems can be designed to comply with BRC and retailers’ individual ‘codes of practice’. For accuracy, reliability and total quality control Driver Southall can supply a solution, call us for a quotation.